In the face of an overwhelming crisis that threatens our very future, it might be time for an overhaul of our democratic and political systems. When faced with conclusive evidence of a major threat to citizens, a true leader would do everything possible to confront it. So, what was the U.S. president’s reaction to a U.S. scientific report compiled by more than 300 scientists and endorsed by a dozen different agencies, including NASA, NOAA and the defence department, that warned climate change poses a dire threat to the American economy, way of life and human health? “I don’t believe it,” Trump told reporters. The president, who also claimed a recent cold spell showed global warming couldn’t be happening, isn’t the only one in his administration who tries to hide and deny facts and evidence. The White House released the report late on Black Friday, when many Americans were caught up in the country’s celebration of rampant consumerism. Politicians who receive huge amounts of money from the fossil fuel industry have ignored climate science for decades, downplaying or outright denying the massive scientific evidence for human-caused climate disruption. The report should be enough to rouse everyone to action, especially those whose job it is to serve the people. It opens with a clear warning: “Earth’s climate is now changing faster than at any point in the history of modern civilization, primarily as a result of human activities.” It goes on to show that if greenhouse gas emissions are not brought under control, the U.S. can expect “growing losses to American infrastructure and property;” hundreds of billions in economic impacts; catastrophic rising sea levels; increasing extreme events such as heavy rains and floods; more wildfires, crop and livestock failures leading to food shortages; continuing ocean acidification; and thousands of deaths. Those who stand in the way of protecting people and countless other species from the worst consequences of climate disruption, especially those with the power to do something, are committing crimes against humanity. They aren’t fit to lead. Denial in the face of overwhelming evidence is pathological, but is it any better when politicians talk about the need to confront the climate crisis while arguing out of the other side of their faces that we need more pipelines, expanded oilsands production and increased drilling? When they claim to be committed to protecting people from climate change but have no viable plans to do so? Canada is among the top offenders, along with China, Russia, the U.S. and Australia, for inadequate climate change strategies, according to a recent study. 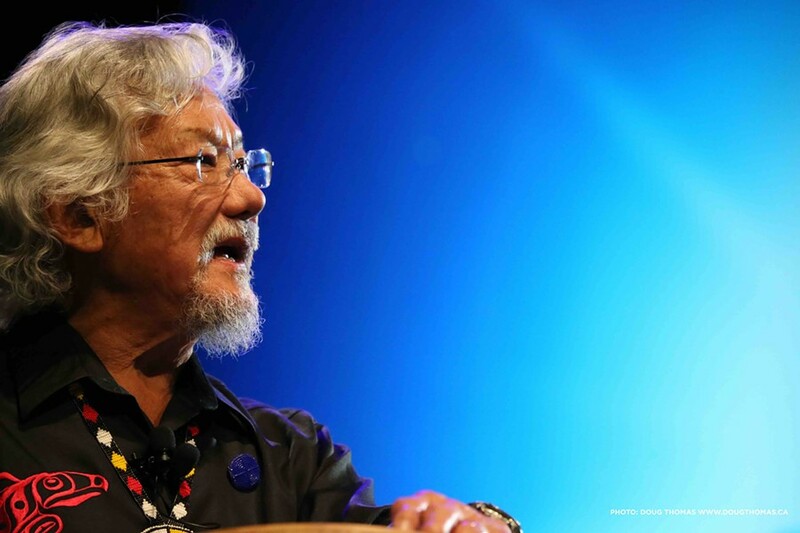 Science Matters is a weekly column on issues related to science and the environment from David Suzuki, written with contributions from David Suzuki Foundation senior editor Ian Hanington. Learn more at davidsuzuki.org.